It’s a full house this week on Beer Sessions Radio! 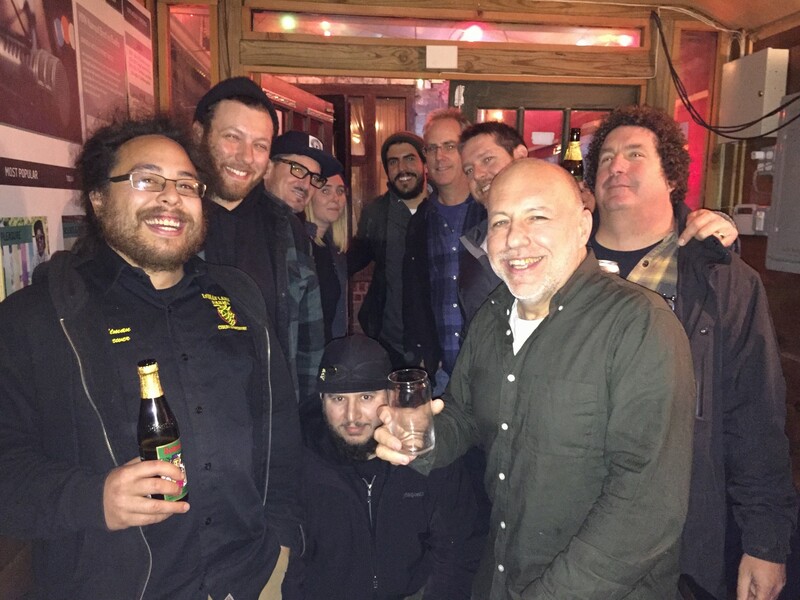 Brewers from Interboro, KCBC, Indian Ladder Farms, Greenpoint Beer & Ale, Cerveceria Rancho Humo, and Just Add Beer are here to talk about collaborations while they enjoy the products that have resulted from them. Partnerships stretch across New York State connecting brewers with the farmers growing hops and malts. But the local market is still developing and the brewers and farmers around the table discuss the challenges they currently face in working together. As they continue to taste, these brewers take us through the process, ingredients, and inspiration behind their beers. Everyone shares about the events, travels, and coincidences that have led to exciting collaborations in craft brewing.